The car’s body is a little rough but is very good for NOT having rust. The car in now air-cared and insured. The car will need some work it been stored for the last 19 years and it’s old… this car is not for everyone. but it is a great project for someone that is mechanically inclined. The car drives like a go-cart and will make you want to take the long way home. I can be reached me at (778) 223-0154. Open to offers in person only. Don’t waste our time, and thanks for looking. The late seventies was not a good time in the motoring world. Representative of the overlap of old-world technology with new world safety, economy, and environmental thinking, the late seventies were marked by 100-horsepower big block V8s strangled by emissions plumbing, and automotive designs marred by strange new crash safety standards. 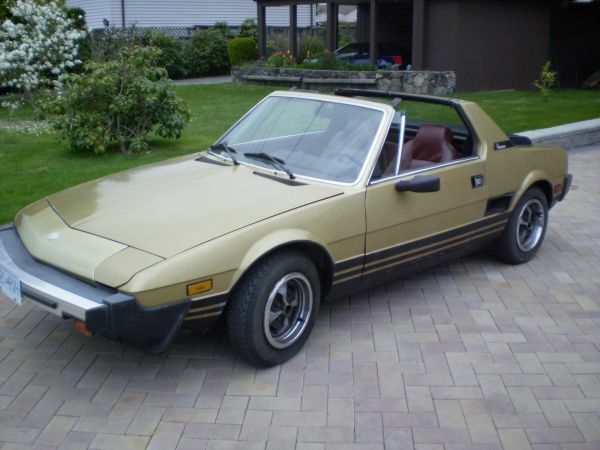 But, beneath the rubber bumpers and ridiculously complex engine plumbing, there were gems… like the Fiat X1/9. A mid-engined sports car actually designed to mimic the styling of contemporary power boats, the X1/9 earned numerous accolades for its sublime handling characteristics; a product of its well-balanced layout and roughly 2,000 pound curb weight. 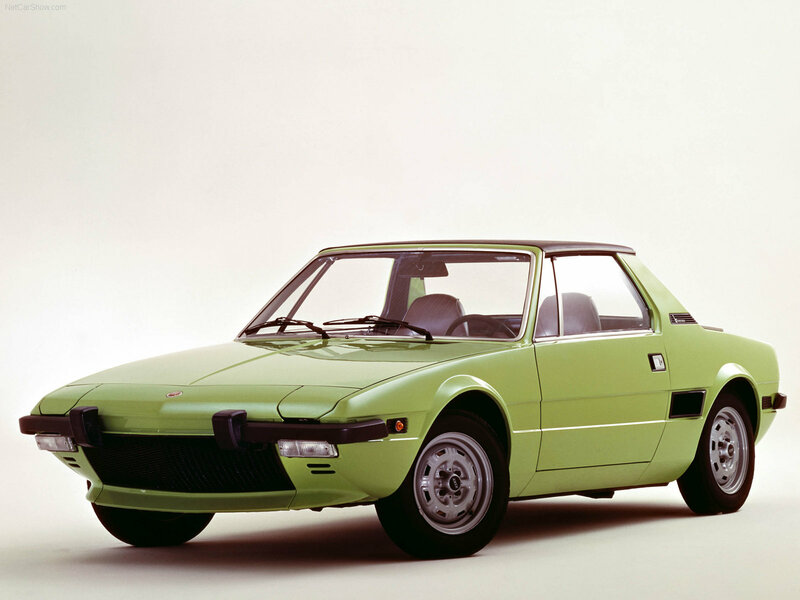 However, although plenty pretty in its earlier iterations (production began in ’72), the X1/9 fell victim to the same ills that befell every cool car in the late ’70s, and by 1979 found itself visually bound by ridiculous impact-absorbing bumpers and choked by charcoal canisters, air pumps, and EGR valves. That didn’t stop the carbureted 1.5 litre from producing an even 85 horsepower, which was good for a 0-60 time of just over 10 seconds and a top speed on 180 kph, making it as willing a sporty coupe as its dual trunks did a great commuter. A car that’s always enjoyed a bit of a cult following, the X1/9 was one of the few Fiats produced specifically for inclusion in the U.S. market, meaning there are a surprising number of them still around. However, whilst its cult status ensures plenty of information sources, parts can be slightly more difficult to locate. Although many of the most commonly replaced pieces can be sourced from a few different online retailers, larger, less common parts are often available only through eBay, and one can end up waiting for the correct part to appear. Thankfully, they’re not known for being terribly temperamental, with their easily-remedied electrics being the most common complaint the running gear bears. It is a car made of 1979-era steel though, and rust is very common in the front area around the headlight motors (visible from the front trunk area), in the rear trunk area, and around the wheelarches and sills. On the plus side, it’s not a very large car, so checking for rust shouldn’t take too long, and 19 years of what appears to have been indoor storage may have saved this example from the worst of it! For under $2,000 it’s a great buy that’s sure to appreciate with time, although I don’t know if even I could be convinced to keep its paint scheme… Click on the blue text above to carry through to the advertisement, additional photos, and more contact info! If you’re looking for a car with which you can enjoy the coming months, well, you may have just found it with this cheap MGB. The quintessential sports car by any and all measures, the MGB has provided the world with the very definition of the term for decades, having been in continual production for 22 years. 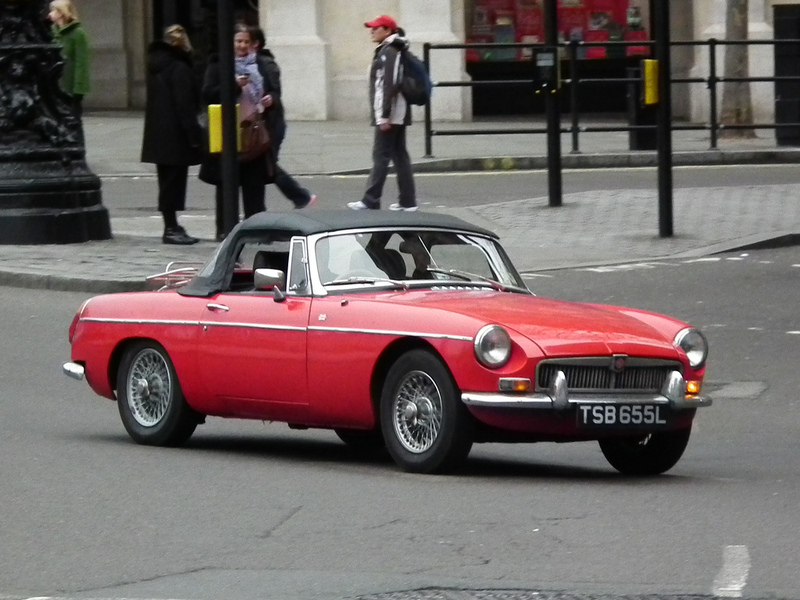 Beginning in 1960, the classically proportioned and handsome MGB roadster saw three different iterations during its long production run, with the Mark II’s production beginning in 1967, and the Mark III in 1972. This being a ’73, it bears out the improvements that made a Mark III (improved dashboard and heater assembly), but manages to escape the ugliness that came along with 1974’s more stringent crash safety standard and the associated rubber bumper overriders. Of course, as one of the world’s best-selling sports cars (the Miata only recently claimed that title from the MGB a few years ago), owning an MGB is ridiculously easy. 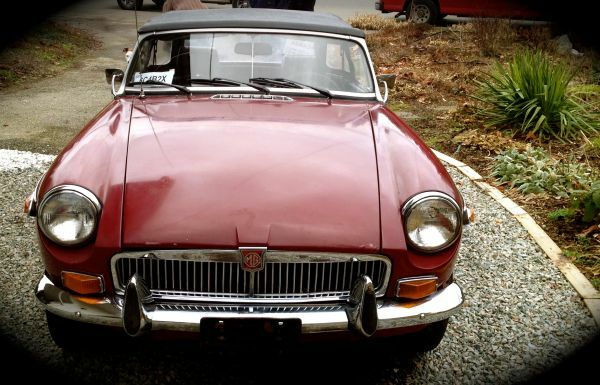 Parts are both widely available as well as quite inexpensive, and the owners groups, clubs, and general proliferation of MGB info makes finding manuals and maintenance instructions as easy as locating a good recipe for bread. Furthermore, they’re uncommonly pleasant to drive, with responsive, lively handling and decent power from the 1.8 litre inline four. Granted, you won’t be setting a blistering pace around Laguna or Mugello with one, but they’ve got quite comfortable interiors, a pleasant ride that doesn’t punish, and return MPG figures in the mid 20’s. This particular example won’t be the prettiest MGB many will have laid eyes upon, but these cars are quite mechanically robust, which means it could be excellent candidate for weeknight restoration work between weekend runs up the Duffy Lake Road. Again, clicking the blue text above will take you through to the ad for contact info.